CHIREDZI – In a surprise move, Zanu PF, Chiredzi District has already endorsed Emmerson Mnangagwa as the party’s presidential candidate for 2023. The District said that it was going to take that resolution to the party’s annual national conference that will be held in Matebeleland South. Speaking to The Mirror after an inter-district meeting held at Tshovani Stadium last Thursday, Zanu PF Masvingo Provincial Spokesperson Ronald Ndava said members met to prepare for the December conference and resolutions were made. He said that an important resolution was for the party to stand behind Mnangagwa. 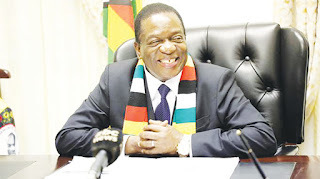 “We were preparing the December conference and we resolved among other issues to stand by the current President who is our candidate for 2023. We believe that there should be one leader at any given time in Zanu PF. There is a lot of speculation in the public domain about our leadership in the party but we say those who are talking about it are prophets of doom who should be shamed,” said Ndava.